SanMar is our largest supplier and is the exclusive distributor of Nike Golf, OGIO, OGIO Endurance, Eddie Bauer, Red Kap, Bulwark and New Era. 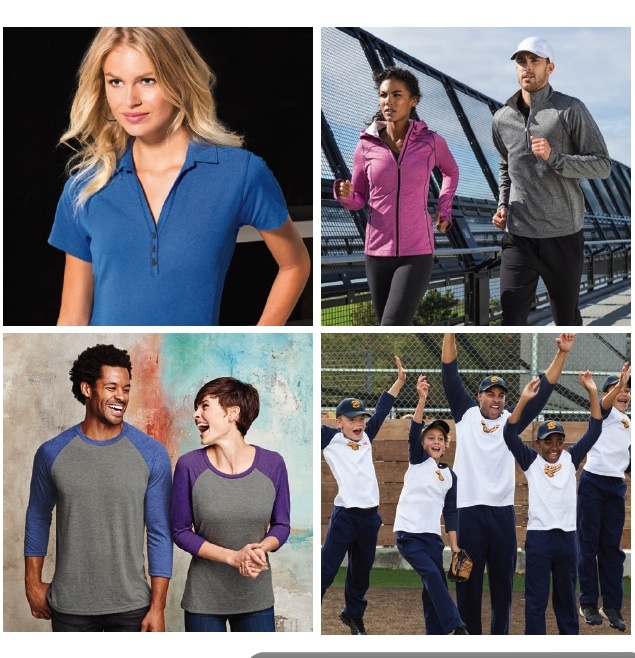 Other retail brands include available through SanMar include American Apparel,Hanes, Fruit of the Loom, Gildan, Anvil, Jerzee, and Russell Outdoors. SanMar also produces Port Authority, America's No.1 private clothing label. Red House, Port & Company, District, District Made, Sport Tek, CornerStone and Precious Cargo. SanMar also carries a variety of products from t-shirts and caps to gym bags and canvas totes. Norwood is our primary provider of ad specialty products. With a huge selection of products in a variety of color. Keychains, flashlights, drinkware, writing utensils and more! 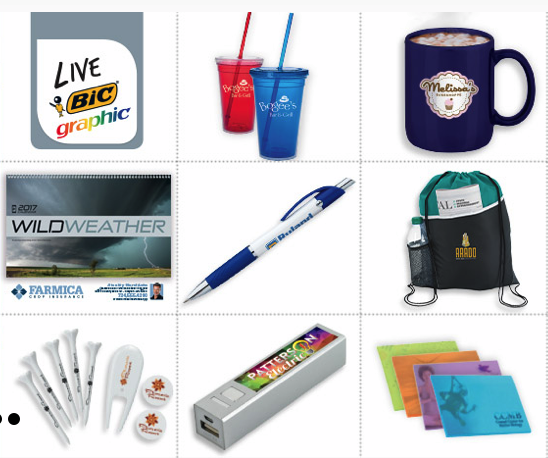 Norwood provides promotional products for all of your advertising, personal or commercial needs! Alpha Broder is our secondary garment supplier. If SanMar doesn't have what you're looking for we can most likely find it here! With brands including Anvil, Dickies, Adidas, Bella & Canvas and more! For a complete list of our suppliers and available products please visit us in-store! Have your own favorite Tee? We print customer supplied garments, too! *We cannot guarantee customer supplied garments will have standard sizing or placement. Great Alaskan Shirt Company is not responsible for the cost of damage or misprints on customer supplied garments. Can't decide which product is best for you? Check out our fabric guide below!